Central Park Wedding Photos are a favorite for New York City dwellers and for those who simply love the Big Apple. Central Park is the most visited urban park in the United States, with approximately 40 million visitors per year from around the world. It has become a sentimental place for many couples who have created memories throughout the park area. 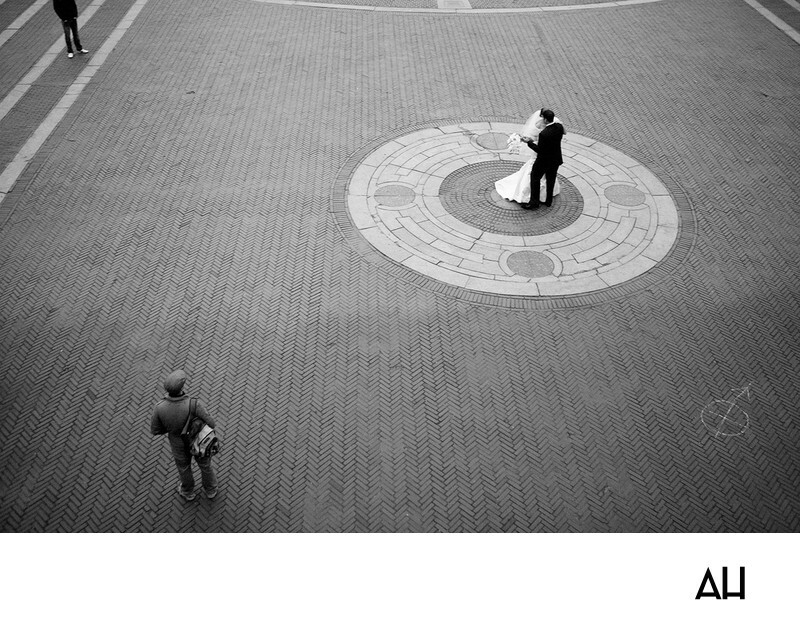 Couples who celebrate their weddings nearby often request portraits in their cherished park. Typically the bride and groom will have a spot they wish to be photographed in for their Central Park Wedding Photos because it has significant meaning in their relationship. Those who may not have a special spot, and who just want to have their wedding portraits done with Central Park as the setting will find that the location is an excellent place to create fresh, romantic and picture perfect moments. This couple found a place in the park to dance on the day of their winter New York City wedding. The cold does not seem bother the pair as they swirl about the square, like they are in their own little bubble. Passerbys gaze at the newlyweds, but the pair does not notice that either. The couple is content to be in one another’s arms on this magical winter day.